Class told when Invincibella won on the rich Magic Millions raceday for a second time. Class mare Invincibella might get a chance to win three Magic MIllions Fillies and Mares races in a row after scoring in her second at the Gold Coast on Saturday. 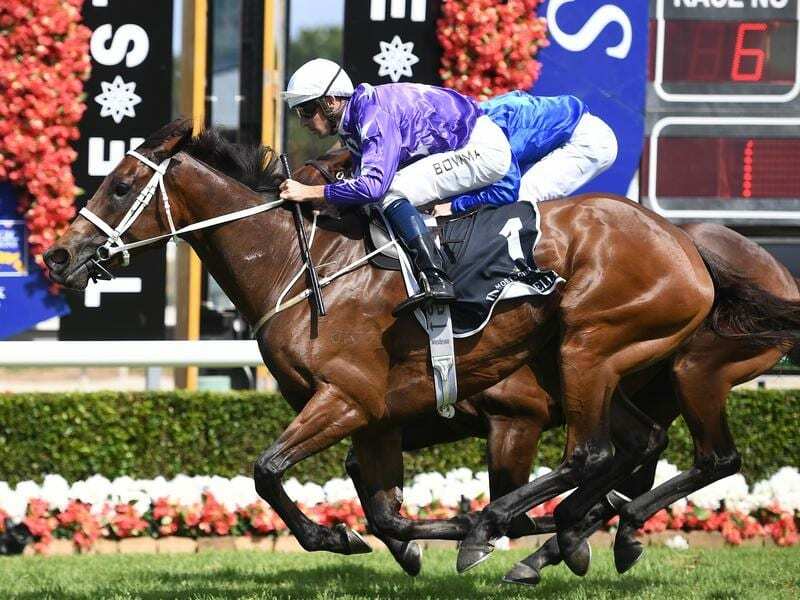 Trainer Chris Waller made it back-to-back wins in the Magic Millions Trophy earlier in the day with Tumultuous who he declared would be chasing a third title next year. While he was nowhere near as adamant about Invincibella, he did concede it was a possibility she would be back next year. Invincibella was bought by Denise Martin of Star Thoroughbreds for $185,000 and her win on Saturday took her prize money to more $2 million. “Maybe I can convince Denise to have another crack next year rather than go to stud. It is one of the benefits of these type of races that it keeps horses racing longer,” Waller said. Waller has again been a highly active buyer at the Magic Millions sales this week after committing to chasing the big money about three years ago. “I suppose we have been chasing the horses everyone wants. But it is a good sale and this race day is a good incentive to buy,” he said. Hugh Bowman said Invincibella was not suited by a slow early pace but had finished strongly. “She has a touch of class about her,” he said.